The freelance economy is revolutionising the work culture in Pakistan. Nearly 40% of working individuals have joined the ranks of the self-employed due to under-employment and scarce supply of sufficiently rewarding jobs. At the same time, freelancers with well-established client bases are inclining toward entrepreneurship to serve the rising demand for local skills in global online marketplaces. 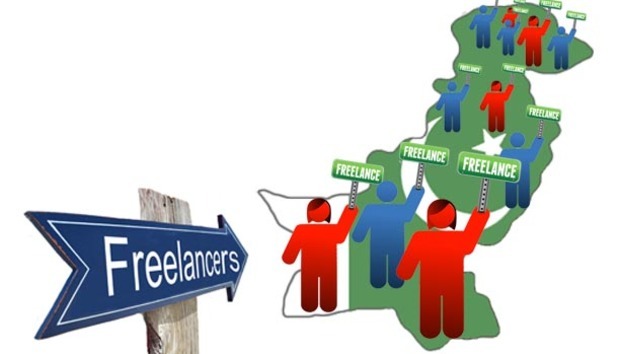 Pakistan is respectively the third and fifth highest user of outsourcing websites Freelancer.com and oDesk.com with approximately 250,000 users registered on each site. Pakistani freelancers have earned more than $13m from Freelancer and registered 2.6 million working hours on oDesk to date. Freelancer recently launched its platform Freelancer.pk in Pakistan to further expand the reach of international clients to local citizens capable of delivering service quality on par with “top freelancer countries around the globe”, according to oDesk Vice President Matt Cooper. The industrial sector in Pakistan is barely surviving the local energy crisis and rising fuel prices. Cost of production has soared and employers don’t have much incentive to hire talented fresh graduates expecting high compensation for their services. On the other hand, online outsourcing marketplaces are flooded with job postings seeking diverse skills irrespective of geographic location, particularly in IT and programming where Pakistan’s young talent excels. For women such as Salma Noreen, one of the few female white-hat security experts in the country, online freelancing was perhaps the only available option to earn a living. Her success story is inspirational for job-seeking women in the country. She completed her IT education in Attock, a remote town in northern Punjab, which, according to Salma, presents rare job opportunities in the field of IT. Since moving to urban centres was not an option for her, she started working online for local and foreign clientele and has never looked back. Before the freelancing culture gained steam in Pakistan, local entrepreneurs had to establish their reputations in global markets by setting up IT companies local to foreign clientele. Most of the time this meant physically meeting and working for clients who were willing to outsource IT projects to developing countries such as Pakistan that were not highly regarded for their IT talent. This was the story of a renowned IT tycoon Salim Ghauri, founder of Pakistan’s leading software consulting firm NetSol Technologies Inc. which was established in 1996, a time when overseas small and midsize firms had limited access to Pakistan’s IT talent. However, some freelancers believe the rising number of freelancers from South Asia has a negative impact on the outsourcing market.